Some of these restaurant chains, people will remember some won’t because it depends on where you live and if any were in your market. A few may have a handful open with Franchisees but for the most part, they are closed. 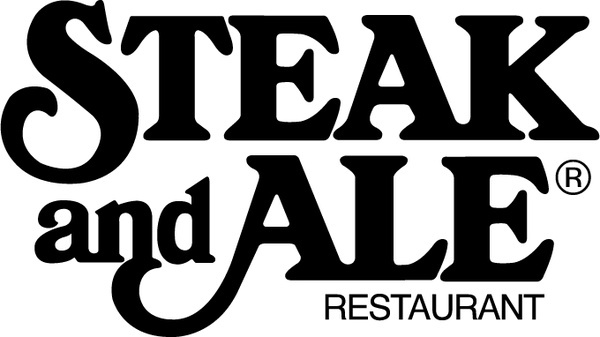 Steak and Ale -1966 – 2008 I liked the Mock Tudor building and the atmosphere inside…the food was good. They are trying to make a comeback…I hope they make it. Last time I ate at one was in the 90s in Huntsville Alabama. 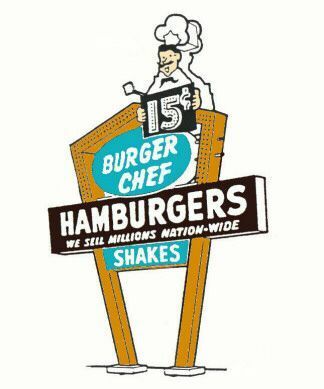 Burger Chef – 1954 – 1996 They had over 1200 locations at one time. Many were bought out and turned into Hardees. Rax Roast Beef 1967 – (handful open now) I liked the Roast Beef but the best thing was the chocolate chip milkshake. There are a few lone Franchisees left. I remember going to them in the 80s. Minnie Pearl’s Fried Chicken 1968 to mid-1970s – How-dee-licious…indeed. It was actually really good. When I was in 2nd grade we would go to one in a nearby town once in a while…really good chicken… it went down because of faulty accounting… Great article here. Red Barn – 1961-1988 They were known for the “Big Barney” and Barnbuster burger. I see an old Red Barn where I work and now it’s a Mexican restaurant. Howard Johnson’s Restaurant – 1953-2017 I do remember eating at a few of these traveling. In 2017 there was one left in New York but the owner was arrested and now it’s closed. LUMS – 1956-1982 I did go to one but I was really young and traveling at the time. Bonanza Steak House – 1963 – 2008 (bankruptcy) There are a few of these left… these and Ponderosa… Dan Blocker (Hoss Cartwright) was an original investor. 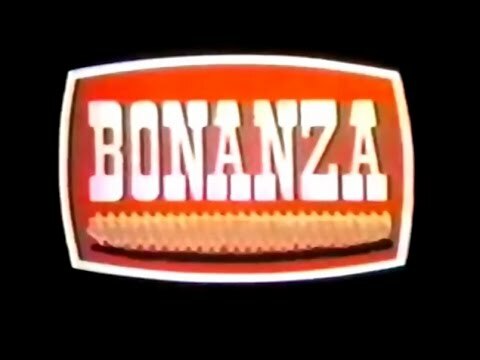 In the late seventies before we would go to a movie we would stop at a Bonanza. I did go to a Ponderosa a few years back. I do also…I don’t like sweets much but those milkshakes… I can still taste them now. The roast beef was good also. Yes I chose Rax over Arbys. I have in laws that live in Ohio…I told my wife the next time we go up…we are finding the Rax. Yea some these could be contained mostly to my area. I think- last time I checked there is a Rax in Parkerburg, WV. We have traveled by there before while in Charleston many times before her mom moved to Ohio. I wish I would have known… My wife got me hooked on Tudors bisquits in WV. We had all of those except Lums. I loved Burger Chef. I can still picture the front of Minnie Pearl’s, covered with those huge yellow and white daisies. I’m trying to think of a closed restaurant chain to add to your list, but I’m coming up blank, except for a few that were sort of clones of Bonanza or Steak and Ale. Chi-Chi’s is one but it ended with 4 people dying of hepatitus in 2003…thats the reason I didn’t add that one… I’m amazed where you live that you had a Minnie Pearls…that is awesome. I’d forgotten about Chi-Chis and the illness. Awful. It was a seriously popular place until then. Chi-Chis makes me think of Annie’s Santa Fe, which may have been local; I’m not sure. The Minnie Pearl’s was in Topeka, of all places. When it first opened, we actually drove there from Lawrence (abt 25 miles) just to try it out, lol. I liked Chi-Chi’s also and that was tragic. I thought about several places but they were regional or they moved to a different area. We did have Whataburger in the 70s but they are not in Tn anymore. I still see those giant A frames around that are tire shops or whatever now. I love finding old restaurants. The Annie’s you are talking about was regional but it seemed to be a hip place back then. Love that article on Annies. I guess it was indeed regional. We didn’t have Whataburger, but I recognize the name and logo. I keep wanting to mention A&W, but they are still around, which is really cool. And the little walk-up Dairy Queens. There is still one of those in my part of town, and you can’t believe the business it does! People wait in line outdoors in the worst weather, just to order at that little window, even though McD’s and the other usual drive-thrus are just a few blocks away. Many of the old walkup Dairy Queens have left here. I love those…A&W… in the 90s we would go to Huntsville for Flea Markets and they had one of the original ones there…with the orange fireplace…loved it but they soon closed. Brought back a lot of memories. That is probably where my 70s collecting started. That’s cool. I loved the glass A&W mugs in the different sizes. I had a big mug and a baby one for awhile, but eventually passed them on. Another Spam filter causality. I bought a couple of mugs when we found out it was closing down. We still have them…they are so thick they would be hard to break. I remember how thick they were, and heavy too. It was fun to drink a root beer in them once in awhile. I break them out sometimes. Great with ice cream floats. Oh, I bet. I love root beer floats. We had a Red Barn next to KFC where I live now. Both are gone. I used to eat at Red Barn while I waited for my girlfriend to get done working at KFC. She would meet me there and we would eat before going to her apartment a block away. We ended up getting married and she became a manager at McDonalds for a few years before she became a nurse. 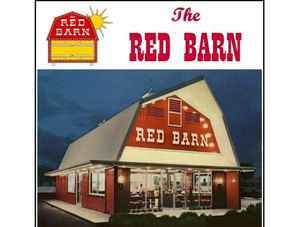 I don’t like McDonalds food and would love to see Red Barn come back somehow. I would give my right arm to sit in a Red Barn and eat a Barnbuster burger. Good food and a good restaurant. I remember most of these. The only two we ever had in our town were Burger Chef and Bonanza. I was afraid of not listing enough for people’s markets…but the problem was I didn’t know anymore near where I lived. Even the ones that aren’t in this town I know from traveling. You have a good selection. Yea the one we had is a Mexican Restaurant now. Grew up with a Burger Chef in my hometown. Don’t remember when it disappeared. There was a Steak & Ale in East Greensboro. I vaguely remember Red Barns, Howard Johnson Restaurants & Bonanzas. I wanted to cry when Bennigan’s shut down. Their parent company was mismanaged & it wiped them out and, took another restaurant with it. Now Bennigans is the parent company trying to bring Steak and Ale back. I work in IT in a restaurant chain’s corporate office…mismanagement is so prevalent through the industry. Cool. And, good for you. I am an old BASIC/COBOL/RPG/Assembler programmer from the 80s and a web programmer from the 2000s. I am so legacy now. And, I lived in Knoxville for a short time. Oh cool. I so wish I would have got into programing earlier… I was the network Admin for years but then I fell for a con job from management… being a supervisor and now Director… never again! It’s better but not what it should be… the company I’m with just doesn’t pay… but my next job will! It’s still good but this 24/7 deal whew… but i shouldn’t be complaining. I do like the people I work with. I tend to like the independents more …and what I liked as a kid…who knows what it really tasted like. Hippo Burger seems really familiar. I used to love a bunch of these! I did also. I would love a Rax milkshake right now…Steak and Ale I really miss also. We didn’t have Rax here. But I also loved Steak and Ale. And Burger Chef! And our Bennigan’s is now a Mexican Restaurant called El Paso. Sorry for the late response… this was in my pending folder for some reason. Burger Chef I really miss!